Agnez started pet-sitting to fill the hole left by the death of a personal pet, and from there, evolved into running a pet-sitting platform with her close friends. JomPaw thrives on providing peace of mind to pet owners, though secure payments and sending daily updates to owners about their pets’ condition. They also hope to turn JomPaw into an all-in-one pet service platform, and already includes services like pet training, walking, and taxis. Agnez Lim once had a Golden Retriever, Big Boy, who died in 2016. Months later, she wanted to fill the void left behind, but wasn’t yet ready to commit to another pet. By then, Agnez had also quit her previous e-commerce job. Pet-sitting was a way that helped her deal with grief, and it was then she launched a simple website named JomPaw to connect with potential customers. One month later, Agnez realised that she couldn’t keep up with the demand, so she brought in two of her friends to become partners—Joanne Lee and Ngan Szu Mun. Together, they decided to turn JomPaw into a serious player in the market. JomPaw’s origins and core message often speak about pet boarding, but there’s more to this startup. “We’re the first mover that offers the widest range of pet services, ranging from boarding, to sitting, dog walking, pet taxi, grooming, dog training, and pet photography, on a single platform,” said Joanne. JomPaw considers itself a community—a pet-lover collective that brings together moms and dads looking for furkid-related services, and links them to the people who can make that happen. JomPaw doesn’t employ these individuals directly, but what it does give is a sense of security. The platform has a strict vetting process for service providers beforehand. “Only 30% of the total applicants end up coming on board. We also provide on-boarding training with sitters and boarders. This is how we strive to be the trusted pet care platform even before offering care to their pets,” said Joanne. To top it off, JomPaw arranges meet and greets between pet owners and sitters for free, before owners make the final call. Its in-app system also looks to streamline payments to pet handlers, offers insurance, and trains handlers to send daily photo and video updates of your pets while you’re away. 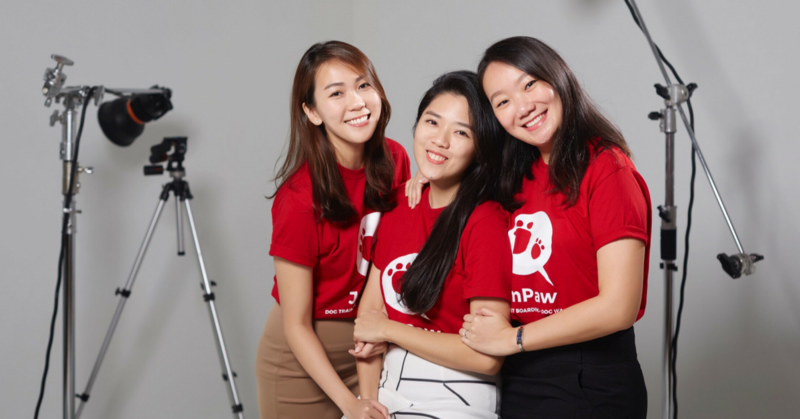 JomPaw often learns about customers bypassing the platform to contact the pet-sitter directly, but they’re trying to educate their sitters to direct customers to them, hoping that their secure online payment and customer support will help convince customers. In fact, JomPaw’s secret to success is customer peace of mind. This is what helped build trust and retain 75% of their customer base. The internet is full of stories of pet-sitters or housing that end up mistreating or abusing a pet while the owner is away, and JomPaw enters the market with owner reassurance built into its system, to great success. JomPaw has piqued the interest of three different accelerators, from the likes of Khazanah, WatchTower and Friends, to 500Kobe in Japan. Today, its customer base is growing on an average of 29% month-on-month, and according to the founders, they “have grown our customer base to represent nearly every corner of Klang Valley”. JomPaw is gunning for the same in Penang, Perak, Negeri Sembilan and Johor as well. The trio expects to see strong growth in the pet care sphere in the next five years. “The pet humanisation trend and growing influence of social media can be expected to encourage people to continue adopting pets over the next few years,” said Joanne. The demand for pet services will continue as furparents continue to adopt more than one pet, and in this, JomPaw hopes to expand beyond their current services. The goal is to get customers to think of JomPaw as a check-all service the moment they’d like to book someone for pet care. 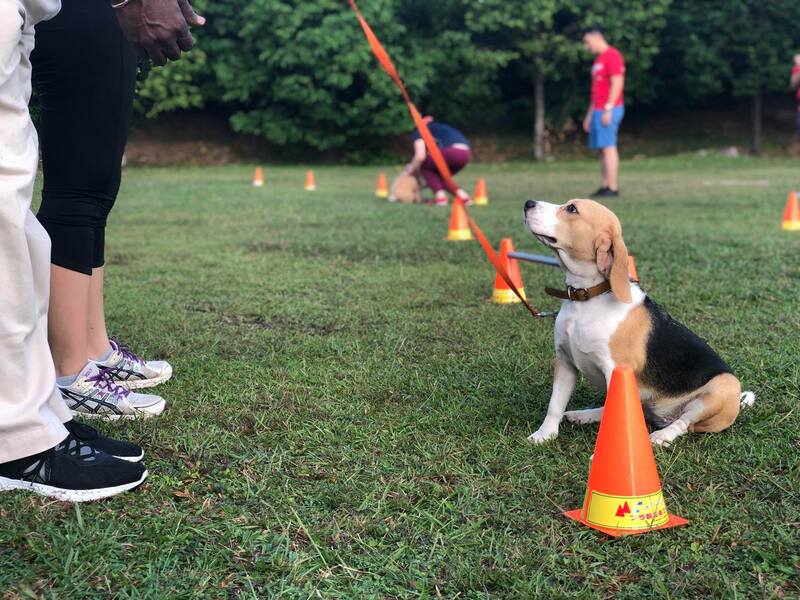 In the interest of expansion, JomPaw recently employed the services of a dog trainer who has worked closely with ex-police from The Malaysian Police K9 Unit. They come with international training, which JomPaw hopes will secure higher quality training on their platform. In fact, JomPaw has recently launched a charity side to the business, which aims to lend a helping hand to animal welfare organisations. In the near future, JomPaw is also eyeing pet vacations and pet memorials too. But even in their core business, JomPaw is working hard to bring aboard the 80% of furkid parents who do not consider commercial options for pet housing while they’re away, instead dropping them off to friends and family. 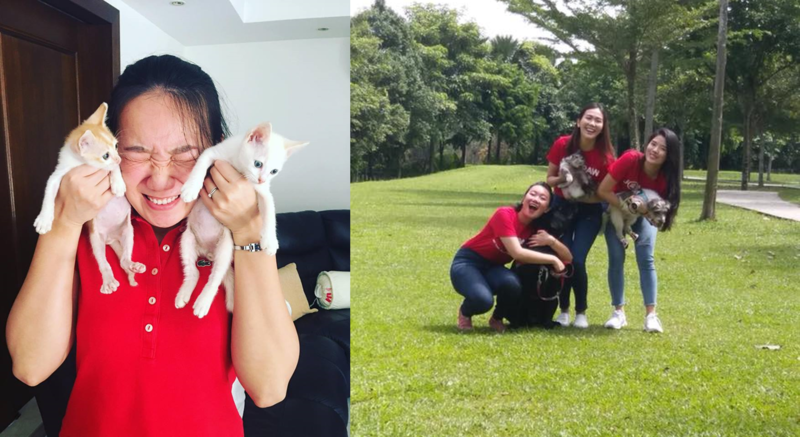 Joanne, Agnez and Szu Mun noted that the pet-sitting business is a surprisingly male-dominated sphere, and they are proud to be running it as a team of three female co-founders, as they continue to fight in what is gearing up to be a competitive sphere. You can find out more about the services that JomPaw provides on their website, or check out their charity arm here.